The application of natural sciences to the management of wild products is relatively new and there are many areas where the tools to efficiently collect biometric data for evidence-based management are simply not available. 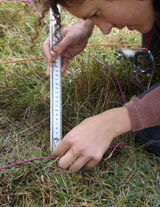 Wild Resources Limited specialises in research to develop tools especially for resource assessment. The company also undertakes site level research as the basis for management plans.